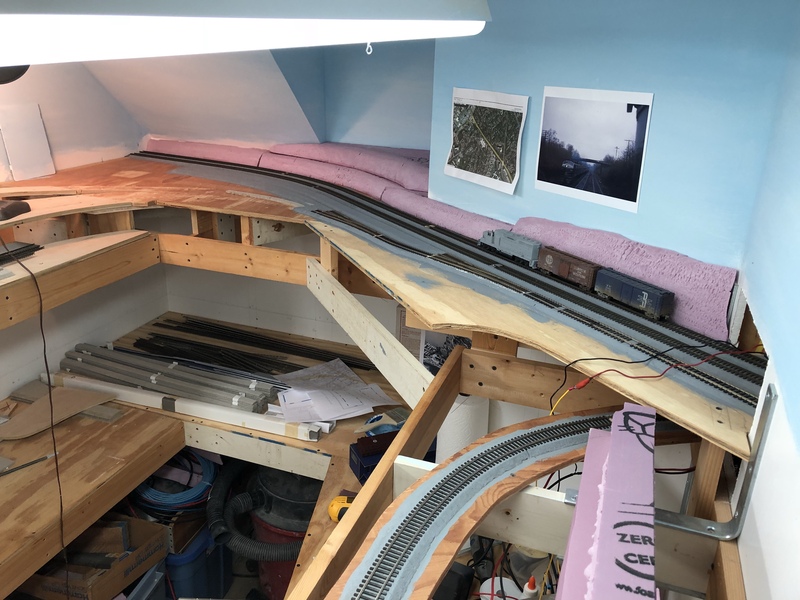 Even though it’s a short stretch of track and is purely cosmetic on my layout, it feels great to get it done. The track is some Micro Engineering weathered code 100 flex track that I received in a lot of very old track. It’s probably over 20-some years old, if not older. As such, it required me to drill all of the spike holes, which I did about every 4-5″ with a Dremel. Soldered the joints and pre-bent the curves. This stuff is very stiff and tough to bend smoothly! All in all, it turned out nicely. It will be a great spot to stage a mainline passenger train. Next is to work on bus wiring, roadbed at the Junction and getting more track down.